Gal Weinstein is the enfant terrible who played with fire. The rebellious artist is preoccupied with showing the viewer the truth of the material, demonstrating, in the most as-a-matter-of-fact way, images of the unfiltered reality. The “betwixt and between”-ness of Weinstein’s application challenges the distinction between the authentic and the artifice. The artist toys with this visceral tactile desire and beckons the viewer to lick the flame. Moon Over Ayalon Valley (2017) sets a grandiose tone on the mural of the Israel Pavilion for artist Gal Weinstein’s Sun Stands Still presentation for the 57th Venice Biennale. One cannot shake the Biblical reference of this work and the title of the exhibition under this painterly demonstration. To our surprise, the scrupulous appearance of pointillism is, in fact, achieved by steel wool, a material in which the artist is exceedingly well-versed. Weinstein’s fascination with such materials borrows its origins from the modernist view on object-hood and self-referentiality of an artwork. Steel wool, though in nature not organic, possesses a proximity to human physicality; and owing to this fact, the artist plays with our natural affinity to familiar objects, creating ambiguity and tempting viewers to touch his work. Attraction and disgust, the function of materials in Weinstein’s work is more paradoxical than perhaps Richard Serra’s minimalist considerations. On the one hand, the artist is concerned with demonstrating the true identity of the material, devoid of external interpretations or meanings other than the fact that they are objects. No amount of dye or any other substances influenced the already multicoloured carpets or the industrial look of the MDF used in the works in the exhibition Backwards (2016). However, Weinstein also seeks another direction in his treatment of materials, making an imitation of the original through organic reactions. 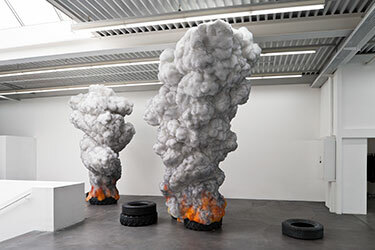 From the series Looking the Same (2011), the artist experiments with the nature, even denature, of steel wool in its physical response to Diet-Coke and regular Coca-Cola respectively. The reaction is no doubt chemical, but as the steel rusted, the two self-portraits give a fundamentally different physicality in terms of colours and shading. The artist’s hand is absent in this process. The transformation is apparent due to this singular mutation of the truth of the material in contact with a liquid. This element of imitation of the original is all the more illustrative in Jezreel Valley in the Dark (2017). 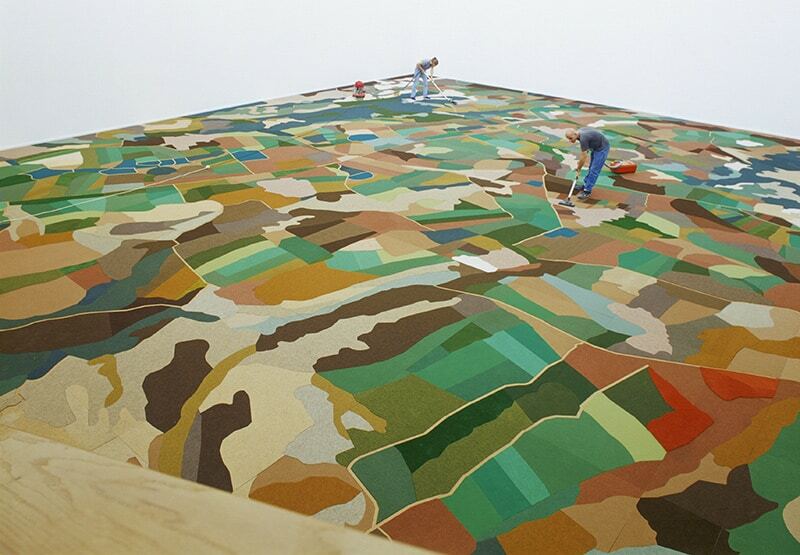 The mould formation in the coffee dreg re-carpeted the landscape and, in essence, the image of Weinstein’s previous work Jezreel Valley from 2002. The reasoning behind this reiteration is in a way multifold yet, circular. The Jezreel Valley in Israel is revered as one of the most iconic landscape, a symbol of the nation’s agricultural background and often an argument in the ever-present territorial conflict. Weinstein, instead of revisiting the actual location after fifteen years, modelled his new work after the image of an image. This convolution directs the focus not to the symbolism of the land but back to the imitating agent. However, Weinstein also seeks another direction in his treatment of materials, making an imitation of the original through organic reactions. To Weinstein, the mould, in itself, as well as its formation beg the question: is its existence organic or has it been applied on? It is the chicken or the egg causality dilemma. “It is an unnatural process because if you think about Israel, the state started from modernism without going through an organic evolution of history.” The artist is not here to make any conclusions just as his purpose of alluding to well-known stories whose core has been manipulated by different parties to fit their political agenda in his presentation during the Biennale. His art and the process of questioning himself the identity of the material surpass beyond the decortication of symbolic images. 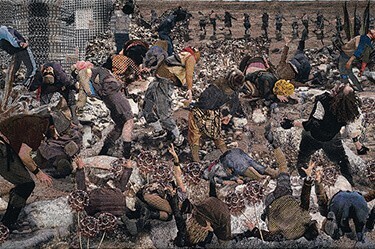 “For me it is interesting to take images that is associated with my work and trying to work out an evolution from it because what is symbolic is also dead, it is not living.” Many of his pieces look at Israel as the agricultural motherland or the media-mythed battlefield in a way that transcends references by giving them a new existence in a physical presence. Such is the reason to experience Weinstein’s installations, especially Sun Stand Still, with our somesthetic senses. The whole journey is constructed to work as a pavilion inside a pavilion. The mould raising from the floors and within the walls alongside the playful yet oppressive sculpture El Al (2017) contain the viewer’s activities within the confines of Weinstein’s defined spatial paranoia. There is a constant push-and-pull struggle in Weinstein’s work. The artist exercises his ambition to control in the conception and the choice of medium yet, becomes completely helpless as the subjects take over his creations. On the flip side, he dominates, once again, in the completion of an exhibition, always taking pieces from the set of a previous work to allow new existence in a new reality as illustrated by the MDF-made, fully functional kitchen in his 2016 Backwards exhibition. Weinstein recognises the futility in deciphering the idea of a symbol, which is why he would rather chase after fire. A young institution that has positioned Israeli design in the international scene turning it into a national priority. 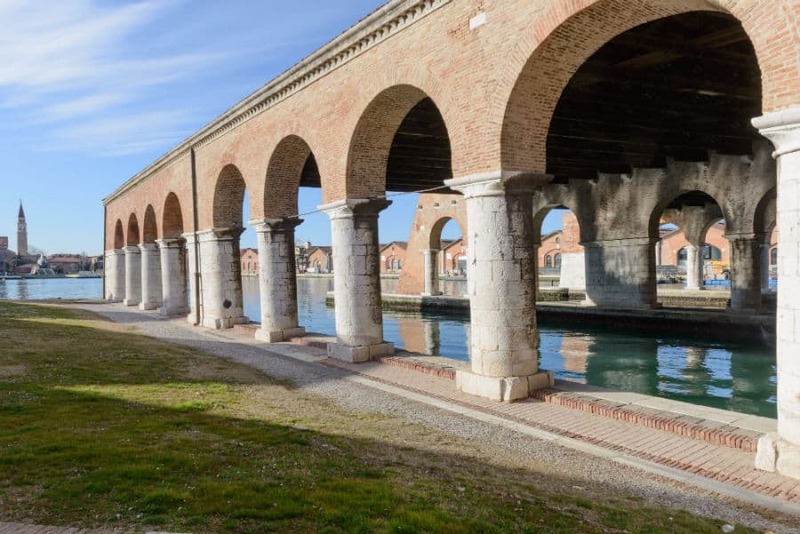 The 57th Venice Biennale is about to open its doors in May 13th. 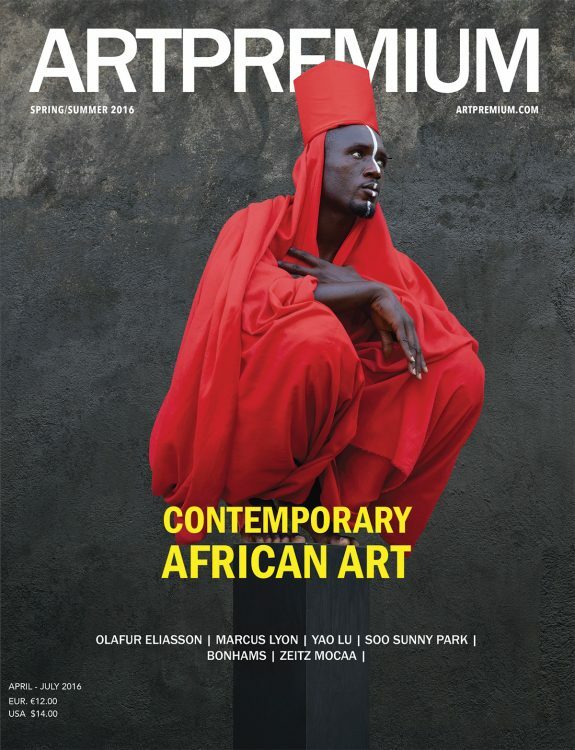 With the title, Viva Art Viva curator Christine Macel intends to celebrate artists, their work and life in this year’s edition. 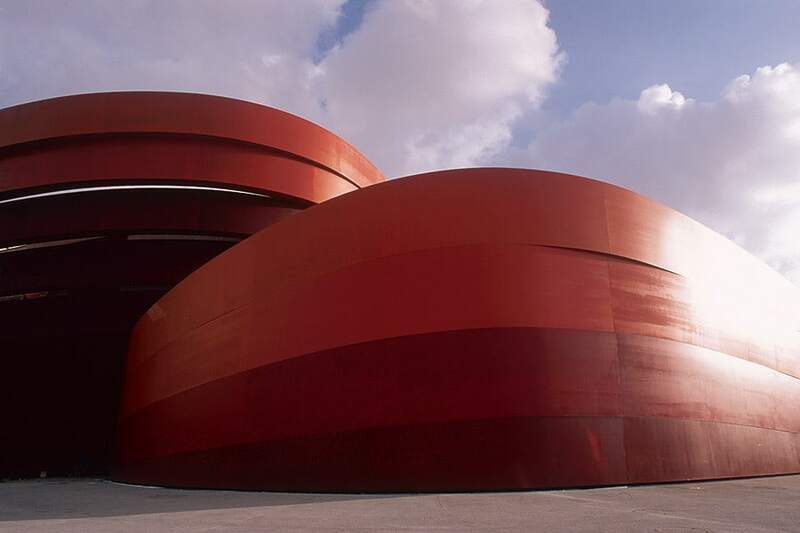 Born as an initiative from the mayor of Holon, Mr. Moti Sasson, the Design Museum has converted the city into a cultural hub fostering pioneering design from Israel and all over the world. Inaugurated in 2010 and designed by the Israeli architect Ron Arad, the building has gained acclaim and recognition throughout the globe turning it into a symbol of Israeli architecture. Located in the Eastern part of the new culture area beside the Holon Institute of Technology, Design Museum Holon spreads in 3200 m2. “The museum invites you to walk in without having to go through a gate or conventional entrance, (…) and it is surrounded by a shell that gives its signature” declared Mr. Ron during our conversation. The construction is a work of art by itself, and unlike many Western buildings it has “not a single column” making it resemble a Möbius strip that gives its unique appearance. Visitors find themselves engulfed by the steel structure, the only contact they have with the outside world is through the sky above. From the very beginning, the passenger is imbued in an ecosystem where design is omnipresent: industrial design, fashion, architecture and even jewellery all are gathered in a space. Furthermore, the institution’s ambitious programme prioritise the development of design at a local scale highlighting design’s significance in the construction of a national identity. Indeed, design is expected to become a main export industry of the country, and the city of Holon is the laboratory where the operation has been taking place over the last years. The curatorial strategy corroborates the historic discourse behind the institution as the first “continuum” or section comprises design pieces made between the 1930’s until the 20th century in Israel. The institution’s ambitious programme prioritise the development of design at a local scale highlighting design’s significance in the construction of a national identity. 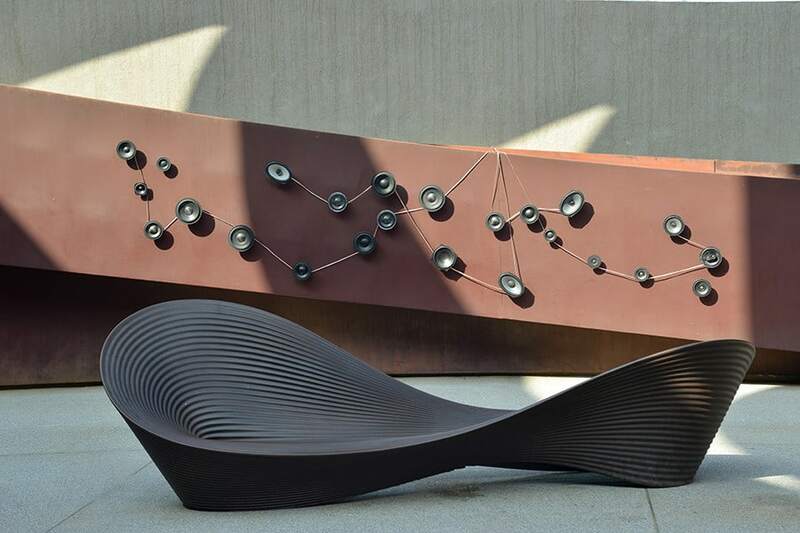 On the other hand, the second continuum devoted to contemporary creations gives the audience a global overview of design’s development not only in Israel but around the world. This initiative places the museum in the international scene exhibiting the work of renowned designers such as Jaime Hayon or the designs by the Japanese studio Nendo. 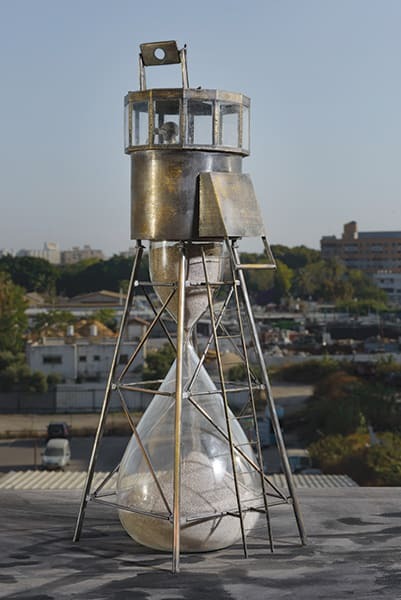 Additionally, the museum is a platform for local and young creators as every year the collection is broadened with a selection of graduate works by students from the Israeli design academies. Although the discipline is subjected to a greater plan, the museum is genuinely committed to leading the way by innovating and exploring every aspect of the discipline. Via the collection, the audience is invited to learn and understand the technological changes and tendencies in the world of design. The current exhibition Sound and Matter in Design is testimony to this interest in exploring and breaking paradigms. 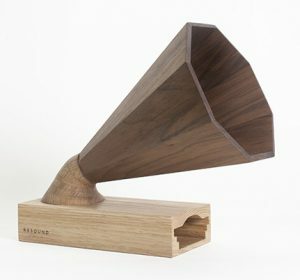 The show investigates the way design has been shaping sound through the construction of objects such as sound systems. Uniting matter and sound, it examines spaces, environments and objects. Nevertheless, industrial design is not the only area considered, fashion and jewelry participate in the museum’s life and a number of exhibitions have been dedicated to them. In 2012 a show was devoted to the Japanese fashion designer Yohji Yamamoto and later on, in 2015 a solo exhibition of Iris Van Herpen’s work took place in the museum. Both are tutelar figures in the fashion industry and their approach is extremely forward-looking. While Van Herper is inspired by technology and 3D printing, Yamamoto’s designs challenge gender roles and give to women’s body an “abnormal” shape, sometimes considered as masculine. As for jewelry, the creations of Dana Hakim Bercovich were the subject of the exposition Through the Mesh, where she transformed useless materials into jewels. Through this process she gave a second life to garbage, a poetic process reminiscent of Duchamp’s ready-made. Faithful to their original purpose, the museum’s educational activities raise awareness on design’s importance in the city’s life. The rich program as well as their partnership with international institutions such as the Design Museum in London makes it a museum engaged in the local and global design scene. With a prime investment of 17 million dollars, the museum is helping to the establishment of Holon as a cosmopolitan city. Karim Rashid’s vision of the future is a universe where his designs transmit human ideals such as beauty and transcendence. Tucked in the far right corner of the image, dressed in motley, specked with black dots is the artist duo Anthony Aziz and Samuel Cucher in clowning disguise as the silent observers in the woven chaos of Aporia. This iconography is a recurring motif to Aziz + Cucher’s work ever since its first appearance in their self-reflective work By Aporia, Pure and Simple in 2012 rather as an answer as artists to the question “how proceed?”. A significant culmination of their 26-year career and their aesthetic, Aziz + Cucher fully assumes their role as fools and as the vehicle to the viewer’s understanding of the truth to the realities of living. Unassuming and ethereal, a peacock is captured in its full virility, in a moment of majestic sexual dominance surrounded at the same time by ritualistic ruins and modern urbanisation. Within a barren field, a bed of dandelions sprouted in the midst of figures screaming in silent, excruciating pain as if writhed by some other-worldly, imposing force. Five sheep look on as people hurry on with their nylon bags in search for a better settlement. The beasts’ docile innocence starkly contrasts with the ignorance of the selfie-takers. This is the aesthetic of violence prevalent in Anthony Aziz’s and Samuel Cucher’s tapestries – hypocrisy in our modern way of living, corruption of our natural habitat. In Aziz + Cucher (A+C)’s Some People Tapestry Cycle (2014-2016), digital images taken from the duo’s travels to Israel, the Palestinian territories, Lebanon, and countries within the Balkans are electronically woven by their collaborators Magnolia Editions into Jacquard tapestries. The symbolic meanings to be studied in the featured animals, the Renaissance composition, and its employment to depict battlefields remain faithful to the historical functions of tapestry. Yet, in a stroke of genius, A+C’s artistic report on the current belligerent sentiments gives the medium a contemporary revitalisation, moving a topic so blatantly political onto the stage of an Absurdist theatre. The violence in A+C’s work stems from the uncanny; it is the sight of familiar objects put in extraordinary circumstances. 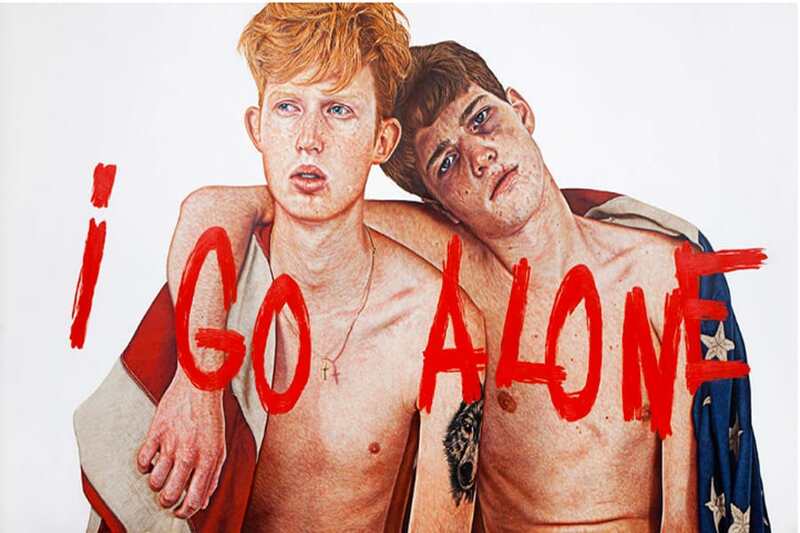 Considering A+C’s audience, they are the people who frequent the contemporary art milieu. Therefore, when we see building cranes in the background and ceremonial carvings on the wall in The Visitor, the peculiar positions that the figures are in with bags on their heads in The Road or limp bodies lying on the ground in Some People, our associative brains recall the horrific imageries perpetuated in the news. The effect of anxiety or even agoraphobia that plagues every single person in our globalised society does not require the artists to be specific like their predecessors, Paolo Uccello’s The Battle of San Romano (1440) comes to mind, but rather this question of land, home and humanity is mythicised and becomes universal in their tapestry. Retrospectively, the evolution of A+C’s previous photographic and video oeuvre constructs a condition unique to their way of shaping the uncanny. Fairly early on in their first collaboration, Faith, Honor and Beauty (1992) evokes a strong sense of malevolence in how society views the human body. We see the subjects as the canon of beauty, yet there is a chilling impression to the photographs because the figures are without their sexual organs. The confrontation towards censorship in art, which was extremely polemical during the 90s culture wars in the United States, using literal self-censorship in their work was the first step A+C took to question the origins of our fears. From the dissolution of the body to the eeriness of the mechanical flesh in Plasmorphica (1997) and in Chimera (1998), to the architectural abstraction in Interiors (1999-2000), and again to the ecstasy, hallucinatory imagery in Synaptic Bliss (2003-05) and Scenapse (2007-2013), we see a trajectory against figuration or even anthropocentrism. However, a turning point came in 2006 in the form of the Israeli-Hezbollah War. With family ties in both Israel and Lebanon, the sense of ridicule and helplessness in the present complicated political realities gave impetus to A+C’s donning of the garb of jesters. While the duo confesses the self-deprecating image of the costumes, the interpretation runs deeper. The quintessential Shakespearean fool is a device, a motor that goes beyond giving comic relief to tragedies, but instead rendering deeply complex and traumatic scenes more understandable in their metaphorical resemblance to reality. The physical intervention of the A+C clowns, the artists’ departure from abstraction, and their subsequent change in the support of expression to tapestry in 2014 mark the duo’s questioning of the nature of power and the value of humanity sitting on this house of cards. The unique tactility and the almost relief sensation in A+C’s design metamorphoses the moment captured in their digital images into sequences of movements. This effective medium defines itself between the closeness and the distance with the viewer. The unique tactility and the almost relief sensation in A+C’s design metamorphoses the moment captured in their digital images into sequences of movements. The solemnity yet mystic fleeting fragility of the textile adds to the fear of contact dictated by the unspoken decorum in exhibitions and the romance of art. It is in itself essentially a symbol of the empty shell of power woven centuries after centuries. 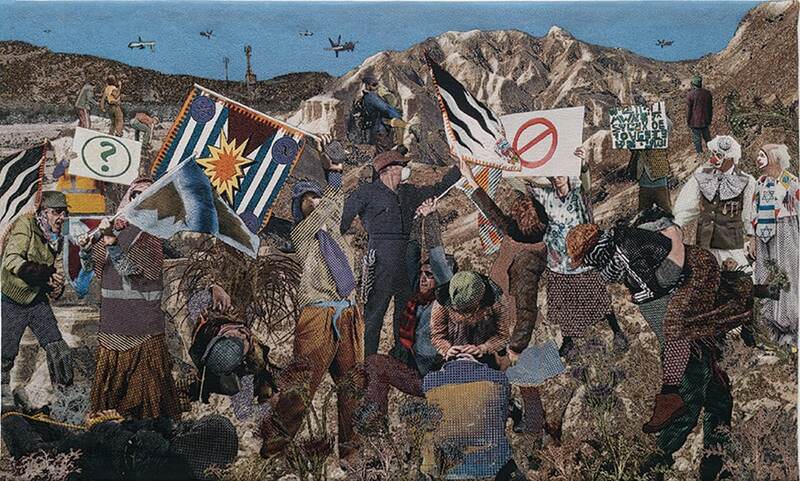 Look closely at the tapestry Aporia, there is a severe expression of anxiety in the work’s narration: jet fighters across the tinged blue sky, scenes of struggle in the foreground, and undescriptive flags and gibberish signs waving in mid air. The centralised triangle with the male figure in a worker’s jumpsuit and a surgical mask as the apex of the tension and in the composition is unceremoniously skewed by the two odd figures on the right. The artists, as clowns, have the function of exposition in this storyline. They are not a physical demonstration of the silliness of the conflict, but rather a statement of truth, of the existence of such a conflict, the essence of which comes from us, the viewers looking at our reality in the third person perspective, from us looking at these figures as aliens and that we are aliens to them as well. While fools are a most unostentatious character in a play with a most pitiful ambition, it is through this pretense that A+C achieve catharsis in their personal tragedies and through which we, the viewers, recognise the cynicism of our phenomenal world. In our post-reality consciousness, all acts are political. Such is a great point of contention in the realm of the arts. In a moment of consideration, contemporary art can oscillate between propaganda and a reflection over calm waters. Ever since their first project together, Aziz + Cucher never cease to position their art in the current cultural and collective psyche, yet the relentless sensation of sterility muffles all conspicuous or personal commentary. Their ongoing tapestry series presents an even more eloquent demonstration of an abject anxiety under our warring times. The tapestry medium, from its historical to contemporary usages and manifestations, transmutes the inherent stirrings of the human soul into lasting forms. In the Jewish religion, blood is a cornerstone embodying the religion’s precepts. From their diet to whom belongs to the faith, the red liquid is replete of numerous connotations. The Israeli artist, Sigalit Landau centers part of her artistic practice in blood and the land where she was born. Navigating Israël allows the wanderer to understand the visual poetry and the significance of the symbols in the artist’s oeuvre. Starting with blood one can read her work as a metaphor of the violent events that have agitated the country from its creation in 1948. Growing during the Intifada years, Landau witnessed the commence of the brutality that continues – perhaps less deadly now – to shudder the region. As mentioned before her work favours red, her sculptures reminds us often of the Viennese actionism and of Francis Bacon taste for fleshy compositions. The Dining Hall a sculptural installation mimicking the interior of a house is flooded with structures with red and visceral textures. If there is amy similarity to the Viennese Actionism in this work is not by mere coincidence as Landau’s grandparents were very close to the movement during the 60’s. “I grew up inside some Viennese Actionists, my grandparents were very radical. (…) I’ve always been very interested in this, it’s in my DNA”, declared the artist during our conversation. Human anatomy is dissected constantly in her work reflecting her background as a dancer. As she studies human body and gives it a political meaning, she touches upon femininity and the way it is viewed through the male gaze. Dead Sea for instance is a video in which the artist is floating naked on the sea with watermelons surrounding her body. The body here is freed and shamelessly presented in a natural context, it is acknowledged and put under the spotlight. 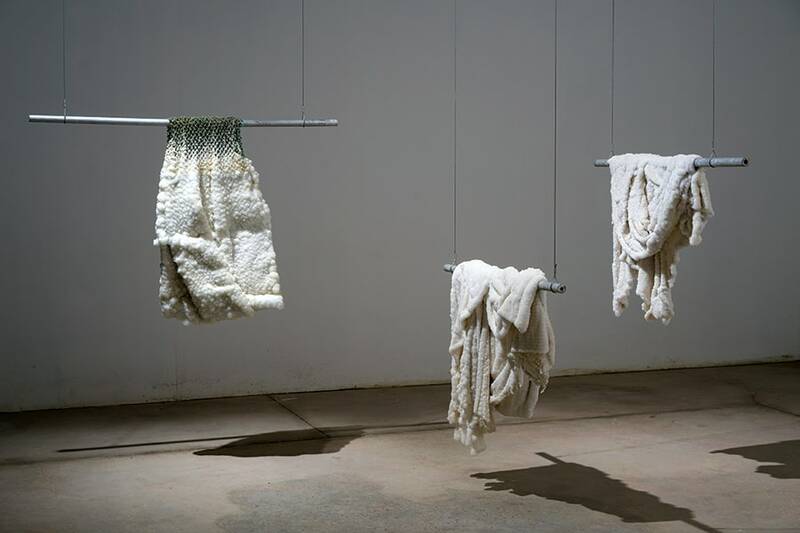 Furthermore in her salt sculptures the spectator is introduced to feminine cloths reminiscent of Victorian fashion. During this period of English history, women were confined to the household, their rights were no less than non existant. Starting with blood one can read her work as a metaphor of the violent events that have agitated the country from its creation in 1948. The submersion of this dresses in salty water transforms them into crystalised objects mirroring the customs and values from that epoch, same that prevail and preserve women stigma. Another video exploring this is Barbed Hula wherein Landau dances the hula with a barbed wire. Although not directly mentioned during our exchange, the artist did alluded to the importance of pain in her artistic practice. The previously mentioned shows Landau dancing without any protection moving the barbed wire all over her naked body. While she examines feminine pain, she too delves on Jewish suffering. Symbols of Jewish traditions and rituals appear in Landau’s work, such is the case of salt and blood. 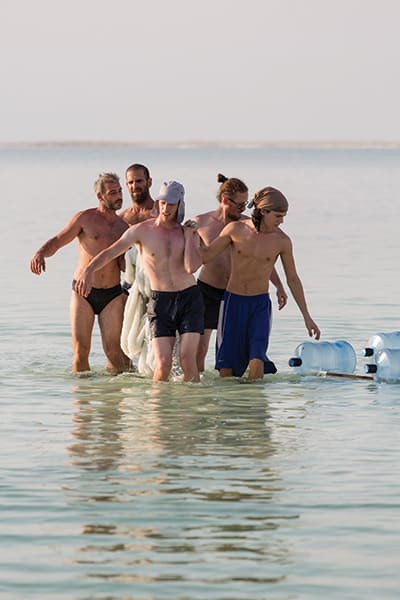 As stated before, she submerges objects in the Dead Sea, a salty body of water so saline that no animal or living being can survive to the levels of salt. The Dead Sea is a symbol for both, Jordan and Israel and serves even as a border between the two countries. Traditionally, salt is used to dry and preserve food, and in the rituals rabbis recommended it to drain the blood from the meat which is a procedure to purify food and make it proper to eat according to the Bible, another term for this practice is Kosher. Sigalit Landau’s body of work manifest contemporary Israeli society, from its roots and its ideology, to its metamorphosis over the years. Sigalit Landau’s work touches upon different aspects on Israeli culture and lineage, it explores present day customs as well as subjects such as identity and the bridging of cultures. One of her most ambitious projects yet to date is to construction of structure joining Jordan and Israel through a salt bridge built with the salt of the Dead Sea. This particular enterprise testifies of the state of mind of Israeli contemporary artists encouraging dialogue and peace instead of deaf conflict. Through the prism of sharing, blood gains a different connotation as it units rather than tear apart.